The importance of lightness and water absorption behaviour for kitchen top supports. In October 2016 in Pordenone it has been held the EXPOSICAM, the international exhibition for components, semifinished products and accessories for the furniture industry. AIRPAN has shown the advantages of some of its kitchen top supports. In fact the finishing materials, as fully vitrified porcelain tiles or natural stones and granites, are nowadays thiner and thiner, and consequently need solid and thick back supports. AIRPAN products presented have the advantages of being light and with a good behaviour with reference to water absorption. ​Important points in comparison, for example, to chipboards based supports. AP X ODM, having externally, on two sides, a Magnesium Oxyde sheet of 6mm thickness, and internally extruded polystyrene XPS. 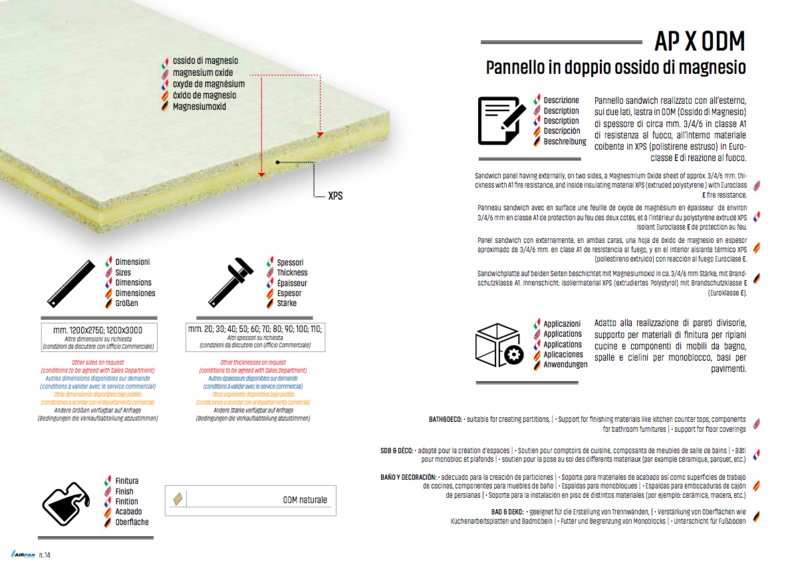 The 6mm thickness allow screwing on the lower side of the panel, connecting it with the kitchen structure. Magnesium Oxyde is a "green" material. 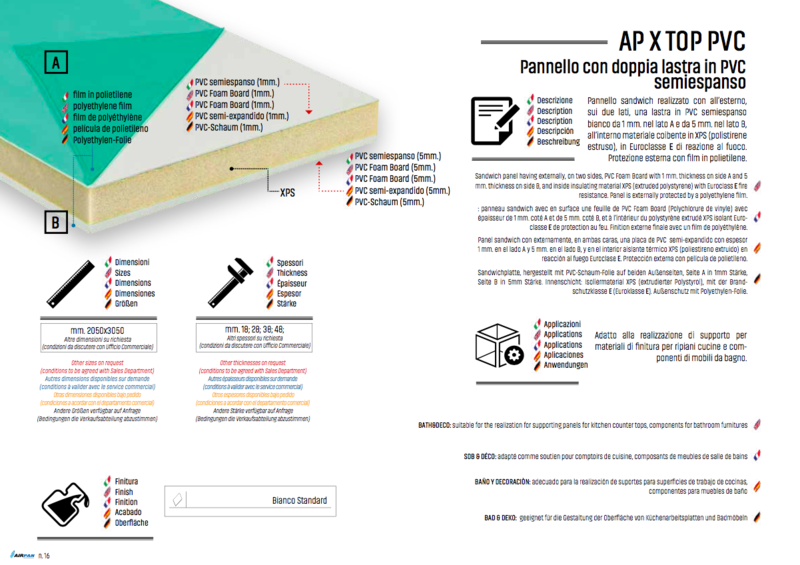 AP X TOP PVC, having externally, on two sides, PVC Foam board with 1mm thickness (upper side) and 5mm thickness (lower side, to allow connection to the kitchen structure). Internally the strenght is given by the XPS core.